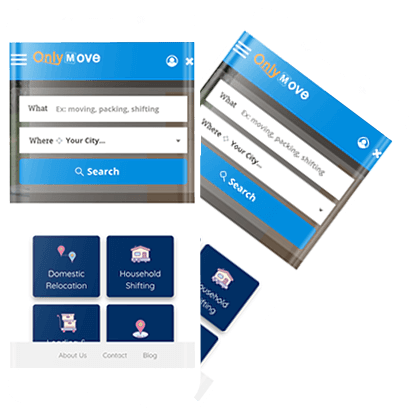 Only move provides loading and unloading services in affordable price.The process of Loading and Unloading is important yet very risky and tedious task while relocation. Loading and unloading services done completely it means transportation of goods from one place to another without any harm to goods like scratches or damages. So we have skilled and trained team who done loading and unloading without damage of valuable goods.We provide quality material in packing and after that we load your items in carefully and safely. Our loading unloading team are performing well for every type loading and unloading.Our professionals take care of safe and secure loading and unloading goods.our team are responsible for any damage during shifting of your items. We know how to pack your goods and how load and unload a moving vehicle . Our team know that how to use and utilize the space . Our team have systematic method for loading and unloading you iems .so that we can move your goods without any damage . We only move Deliver your goods with less time so that customer is satisfied because customer satisfaction is our main motto . Our team is experienced in loading and unloading . They have systematic method so that your goods safely move your desire location. We only move packers and movers move your goods from one place to another without any damage .We load your items in carefully and safely. And also unload your goods with safe manners. Our professionals take care of safe and secure loading and unloading goods.our team are responsible for any damage during shifting of your items. We have advanced tools and machines and years of experience, skillful techniques of loading and unloading goods.Packing goods/valuable in proper way is only successful when the process of loading and unloading is done with extra care and diligence. Only move have experienced and skilled team of professionals who always offer safe and secure loading and unloading of goods.Safety and security is two main factor of loading and unloading process. After packing your stuff , our team member ensure that they load items with extra care and also safely unload them . Our team have much experience in packing, loading, transporting and unloading goods.They understand the needs of every different client.Our main motto is provide customer friendly services within defined budget and time frame . We have a remarkable service provider for packing and moving of households, office furniture and equipment’s, home furniture, plants and machinery, industrial goods and so on. We provide our high quality services within low cost . Only move always take care of your goods when we move your goods one place to another . Safety and security is two main factor of loading and unloading process. After packing your stuff , our team member ensure that they load items with extra care and also safely unload them . We use truck , tempos , vans for the transportation of your items so that your item will be move without any damage .